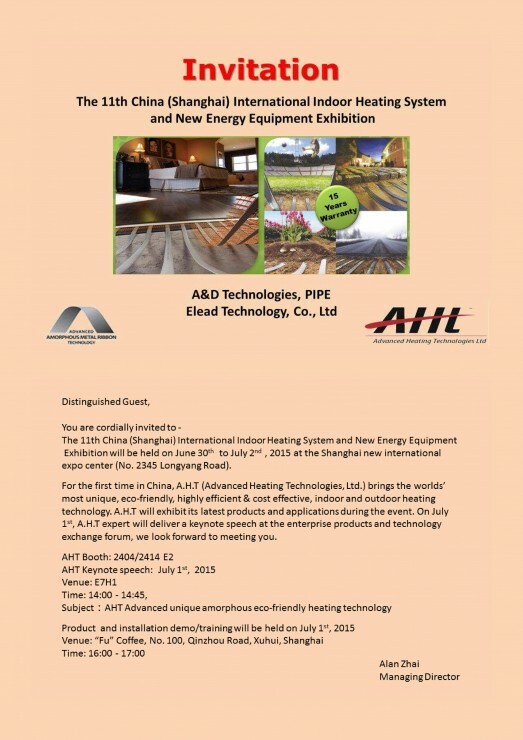 We would like to invite you to visit the AHT stand ( 2014 – 24014 E2) at the 11th China International Indoor Heating Systems and New Energy Equipment Exhibition taking place in Shanghai between 30.6.2015 – 2.7.2015. The AHT China Team will be very pleased to see you and present a range of new AHT products developed by them for the Chinese but also the International markets. In addition you are invited to attend a special presentation of the “ AHT Advanced Unique Amorphous Eco-Friendly Heating Technology” which will be made in both Chinese and English by Mr Alan Zhai and Mr Doron Lapidot and will take place in the Conference Hall E7H1 between 14.00 – 14.45. 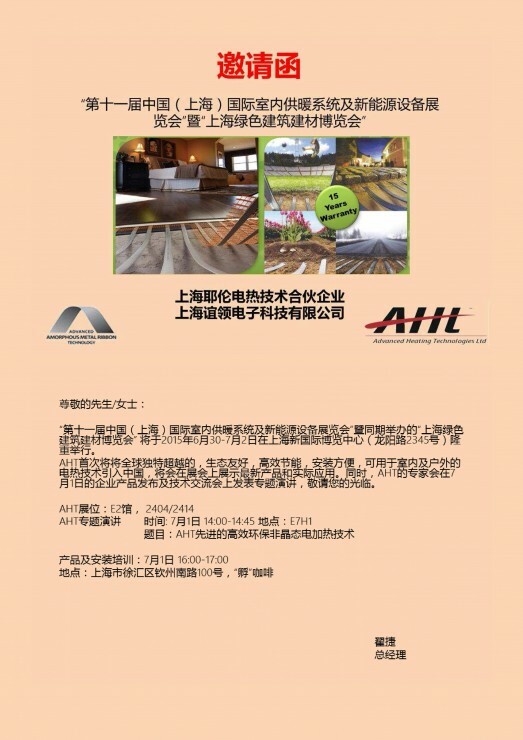 Please contact Mr Alan Zhai and Mr Doron Lapidot if you intend to attend the exhibition or if you need any information on the new AHT products which will be presented.